The year gone was an interesting year for gethynellis.com and GRE Solutions. Any year that has a new release of SQL Server is always an interesting time, as learning and writing about new SQL Server features is always a fun thing to do. David has a great talk that he has delivered at a variety of events including SQL Relay and SQL Saturdays. He has pre-recorded his talk which you can view on YouTube too. During 2016 Microsoft also announced the next release of SQL Server. The major shock here is that going forward SQL Server will also run on Linux. So, you have a choice in the operating system that runs your SQL Server. 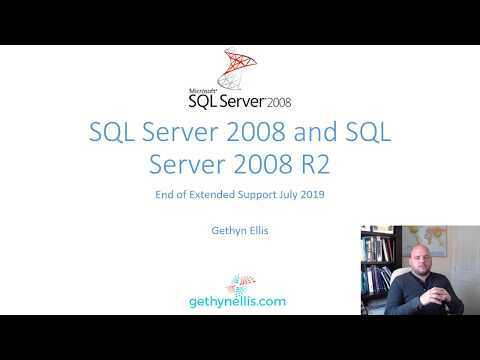 When I started out with SQL Server the best part of 20 years ago, running SQL Server on Linux was often a common blog topic for posts published on 1st April – an April’s fools post. What was once an April Fool’s joke, is now closer to reality with the community preview of the next release of SQL Server available to download. During 2017 we will have a closer look at SQL Server on Linux and what the DBA needs to know about. 2016 was interesting from a cloud perspective. “Cloud” has been around for a long time. It has been a popular buzz word in the technology press for a long a time. 2016 was the first time I have seen ‘proper’ traction in the uptake of cloud technology. Cloud is an ambiguous term. What I’m actually talking about is IaaS running virtual machines in Microsoft or Amazon’s data centres, that run SQL Server and support your databases. I have helped support several clients in the last year implementing and migrating some of their traditional on premises databases, to some form of IaaS offering from either AWS (Amazon) or Microsoft Azure. I think going forward into 2017 and beyond, there will be a greater demand for cloud offering in one capacity or another. The business here at gethynellis.com has grown year on year since the company began back in 2007. The last five years in particular have been particularly impressive in terms of growth. To support this growth and to support the business going forward in the last quarter of 2016 we have hired our first full time employee – welcome Sabrina (aka Bree). Bree will be helping out across the business. You’ll see her blogging on here. She has one post published already which is titled “Bree’s First Blog post” You can find her on Twitter and LinkedIn too. Going forward into the New Year and 2017, our new numbers will allow us to make changes to some of our offerings. I’ll keep you posted here on what, when and where the service offerings change. We will be having our strategy and goal setting meeting early in the new year so no doubt much of these changes will come out of that meeting.